Wash, trim, and slice zucchini. Saute in oil until slightly soft. 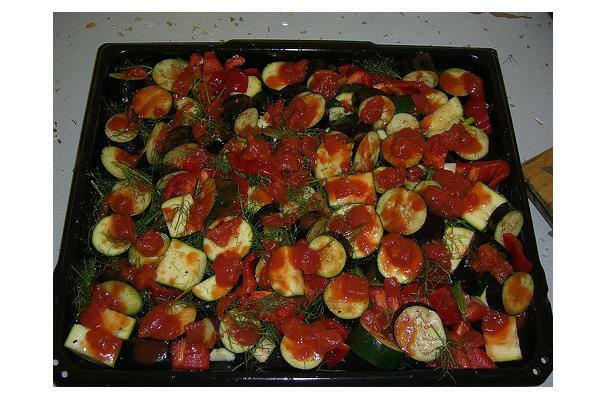 Drizzle vinegar over zucchini while cooking. Add garlic, basil, oregano, salt, and pepper. Toss to coat well. Serve hot or cold.